Annapurna circuit short trek, Annapurna region is the popular trekking route that takes you to the beautiful vicinity in Nepal. 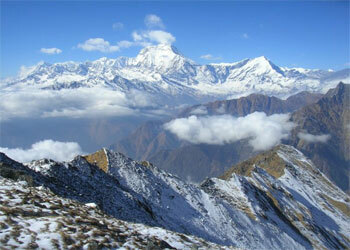 Annapurna circuit short trek is one of the treks that comes under Annapurna region trekking. 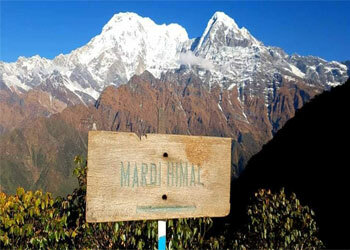 It falls under the top 10 trekking packages in Nepal. A traveler who has less time to spend in Nepal can go for Annapurna circuit short trek as it is moderate and traveled within less time. Annapurna circuit short Trek course passes via cascading waterfalls, stunning villages, terraced farmlands, lush rhododendron forests, and notable mountain vistas. This gives sufficient time to witness the staggeringly lovely peaks of all the Annapurna giants that encircle the basin Mountains in Annapurna region from the imperative center. Annapurna I, Hiunchuli, Annapurna II, Gangapurna, Annapurna III, Machhapuchhre, Annapurna IV etc are some of the mountains in Annapurna region that you will witness. For Annapurna circuit trek we need to follow the trail of terraced lands, dense lovable wooded forests of rhododendron, Gurung communities conventional and cultural villages. The trek starts from Nayapul about 1 hour 30 minutes from Pokhara. Pokhara identified as the stunning metropolis of complete Nepal is the Gateway of Annapurna base camp trek. As this trek won’t take you to Annapurna Base Camp but it will give you the opportunity to enjoy nature and unidentifiable calm within the coronary heart and soul. Moreover, this Trek ensures you amusing, pleasure and an extraordinary insight about the herbal and cultural heritage of the small Himalayan country Nepal. It’s far one of the most lovable treks passing via the diverse ethnic group’s lifestyle and the kind of plants wooded area and wildlife. Annapurna Circuit short trek start from Chame which is a 9 hours drive from Kathmandu. From Chame the trial goes through the Marsyangdi River, Dhukur Pokhari, Pisang, Upper Pisang, Ghyaru, Ngwal, Braga, Manang, Tanki Manang, Ghunsang, Yak Kharka, Chuli ledar, Thorang Phedi, High Camp and finally gets on top of the Thorung La Pass. 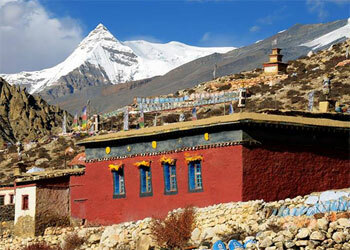 After, we will descend to the holy place Muktinath and then to drive to Jomsom and fly back to Pokhara. Trip Snippets: 08 days, 2 night’s hotels, 6 nights Lodges, Breakfast in the city, 3 meals a day ( breakfast, lunch, and dinner ) during the trek are included. Day 01 - Kathmandu drive to Chame Altitude: 2,710m/8,891ft Travel hour: 9/10 hours drive. Early morning drive to Besisahar via scenic 5-6hrs drive .Along. Along the route, we’ll get some glimpse of green hills, rivers, and a small village with stunning snow-capped mountains. After lunch at Besisahar we will take local jeep to Chame for another 3 to 4 hour drive. We will pass the village of Sange,Bhulbhule, Nagdi, Chamche, Tal, Tima,Koto etc with the view of Mount Annapurna and Manaslu. 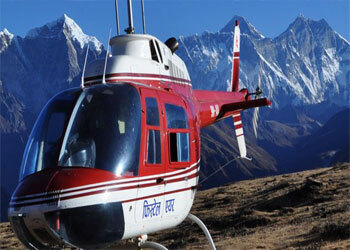 We can have finest view of Annapurna II, Manaslu, and Lamjung Himal from Chame. This is headquarters of Manang district. Day 04 - Acclimatization day- explore the beautiful Manang Village. Day 08 - Drive to Pokhara, end of the trek. Morning we can visit Muktinath Temple and after breakfast drive to Jomsom, from here drive to Pokhara, end of our journey of Annapurna Circuit short trek. Alcoholic, hot and cold drinks, hot shower, Mineral/hot water, desserts.